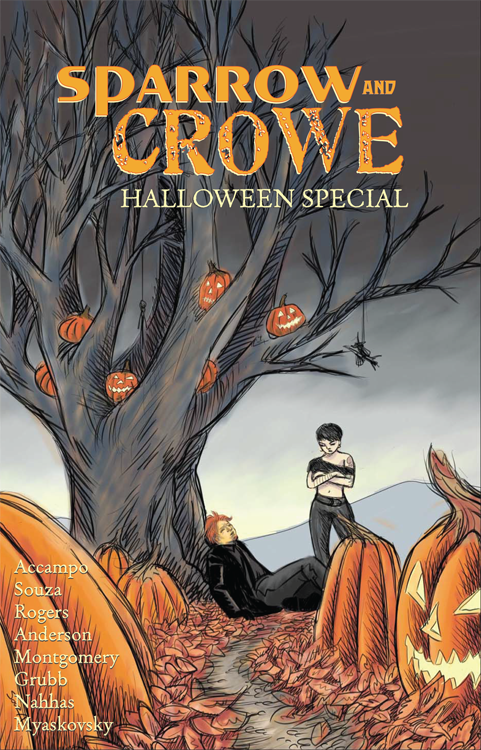 Sparrow & Crowe debuts from Hermes Press in 2012! 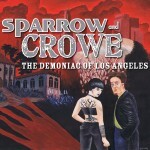 Hermes Press launches its original comic book line in Spring 2012 with Sparrow and Crowe: The Demoniac of Los Angeles, the spin-off of the successful Wormwood audio drama podcast. 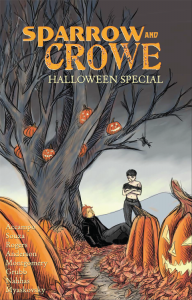 Dark, suspenseful, funny, and action-packed, Sparrow and Crowe promises to kick the new Hermes Press comics line off in its own inimitable fashion. “We created Wormwood as an audio drama because we knew we could cut loose and tell a long-form, serialized story with a modest budget and a big imagination-not unlike what comics do best. I’m a lifelong comics fan, so when Jared Souza-as a listener of the show-contacted us and asked us about collaborating on a comic book adaptation, it seemed like a no-brainer,” says David Accampo. 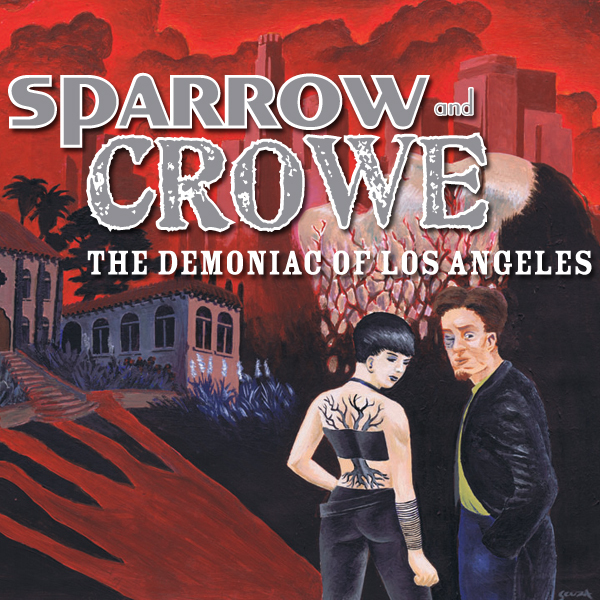 Sparrow and Crowe: The Demoniac of Los Angeles combines old-school horror with modern cinematic storytelling, as they face off against Crowe’s biggest failure and greatest enemy when a powerful demon possesses the daughter of a Los Angeles crimelord. It’s a catch-22 for the duo, as they’re stuck between both hell and the mob, with the girl’s life hanging in the balance. Tentative plans are to follow up the Demoniac storyline with the further adventures of the occult pair. “Fans of Wormwood know we’ve created a big universe for Sparrow and Crowe. They’re not just modern occult detectives, they’re rich characters tormented by the past-and a knack for getting into the worst kinds of trouble. So we’ve still got all kinds of stories to tell, looking both forward and back in the mythology we’ve created,” Jeremy reveals. As the comic book mini-series begins production as a creator-owned series at Hermes Press, the creators will also launch a fundraising campaign via Kickstarter to help with costs associated with the project in the coming weeks. As the comic book mini-series begins production as a creator-owned series at Hermes Press, the creators have also launched a fundraising campaign via Kickstarter to help with upcoming costs associated with the project. Full details and links to the campaign can be found at the comic’s website, sparrowandcrowe.com. Sparrow and Crowe: The Demoniac of Los Angeles will be available in both print and same-day digital via iVerse next Spring. For media inquiries, contact Christopher Irving at [email protected].